ARLINGTON, Va. (Oct. 5, 2010) – The American Psychiatric Association today announced the start of field trials to test proposed diagnostic criteria for the fifth edition of the Diagnostic and Statistical Manual of Mental Disorders (DSM). Field trials will help assess the practical use of proposed DSM-5 criteria in real-world clinical settings. The field trials follow a public comment period in which more than 8,000 written comments on the draft diagnostic criteria were submitted to the DSM-5 website by clinicians, researchers and family and patient advocates. Submitted comments were reviewed by DSM-5 Work Groups and resulted in further refinement of the criteria.
. Feasibility: are the proposed criteria easy for clinicians to understand and to use?
. Clinical Utility: do the proposed criteria do a good job in describing patients’ psychiatric problems and help clinicians make decisions about treatment plans?
. Reliability: are the same conclusions reached consistently when the criteria are used by different clinicians?
. Validity: how accurately do the diagnostic criteria reflect the mental disorders they are designed to describe? In addition, the field trials will help assess severity measures and cross-cutting dimensional measures. Severity measures are questionnaires and other tools intended to help clinicians evaluate how severe the symptoms of an individual are on a rating scale. Cross-cutting dimensional measures are tools for assessing symptoms that occur across a wide range of diagnoses, such as anxiety or sleep problems. Field trials will help determine whether these proposed tools provide useful information for clinicians and their patients, and whether they capture changes in symptoms over time to evaluate progress in treatment. Since the DSM is used in many care settings, two standardized and methodologically rigorous study designs were developed by the DSM-5 Research Group to gather data from a wide range of clinicians and settings. “It is important that the proposed diagnostic criteria are subjected to rigorous and empirically sound field trials before DSM-5 is published in 2013,” said David Kupfer, M.D., chair of the DSM-5 Task Force. One study design was developed for use in academic or other large clinical settings, and will be employed at 11 sites, chosen from among 65 centers that responded to APA’s call for proposals. Another study design was developed for use by individual practitioners and smaller clinical practices. These field trials will be conducted in diverse care settings by 3,900 mental health professionals: 1,400 psychiatrists selected from a randomly selected sample, as well as an additional 2,500 volunteer clinicians, including psychiatrists, psychologists, social workers, and advanced practice psychiatric-mental health nurses. Participating clinicians must meet eligibility criteria and complete a web-based training seminar. Clinicians in the field trials will evaluate new and existing patients at different stages of treatment using the proposed DSM-5 diagnostic criteria and measures. All patients considered for participation in the field trial will receive information about the trial and must give their consent. None of the patients will have their identities revealed in the results of the studies. In the field trials conducted in the academic and large medical centers, patient evaluations will begin with an initial baseline assessment by a clinician. A different clinician will conduct a second assessment 4 hours to 2 weeks later, to help determine reliability of the diagnostic criteria. This assessment will be repeated in a follow-up visit (4 to 12 weeks after the second evaluation) to test whether the severity and cross-cutting measures are sensitive to changes in treatment progression.
. Baystate Medical Center, Springfield, Mass.
. Stanford University, Lucile Packard Children’s Hospital, Palo Alto, Calif.
. The Children’s Hospital, Aurora, Colo.
. Mayo Clinic, Rochester, Minn.
More information on the participating academic large medical centers and the specific disorders being tested in field trials is available on www.dsm5.org . The DSM-5 Field Trials team will disseminate the results of these initial field trials through presentations at scientific meetings, with professional and consumer groups and in articles published in peer-reviewed scientific journals and DSM-5 source books. After completion of the first phase of field trials and another period of public comment via the DSM5.org web site, work group members will make any necessary revisions to their draft criteria. This will be followed by a second phase of field trials for further examination of selected criteria, scheduled to take place in 2011 and 2012. Visit the APA at http://www.psych.org and www.healthyminds.org . 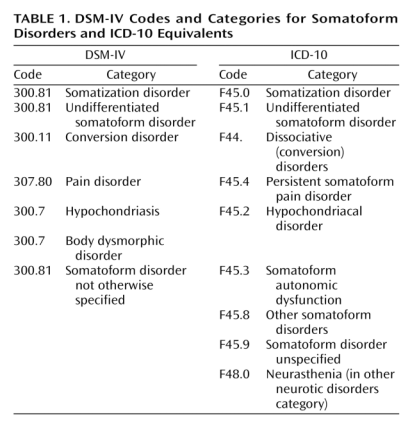 There were considerable concerns, earlier this year, in response to the proposal of the DSM-5 Work Group for “Somatic Symptom Disorders” to combine several existing somatoform disorder categories into one larger category, Complex Somatic Symptom Disorder (CSSD). Source: Mayou R, Kirmayer LJ, Simon G, Kroenke K, Sharpe M: Somatoform disorders: time for a new approach in DSM-V. Am J Psychiat. 2005;162:847-855. According to sources, in July, a print version of the ICD-11 Alpha Draft was expected to be made available around the time that the rescheduled iCamp2 meeting took place in September. In August, ICD Revision confirmed that a “draft print version will be available in September 2010”. iCamp2 has now concluded, but it remains unclear whether a print version has been produced. ICD Revision has been asked to clarify the status and availability of an Alpha Draft, whether it is intended for internal use only or is going to be made available for public scrutiny, and if so, when, and in what format(s). The publication of DSM-5 is currently timelined for May 2013. 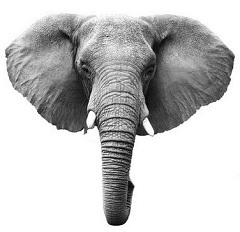 Implementation of ICD-10-CM, the US specific “Clinical Modification” of ICD-10, is scheduled for October 2013. As the Phase 1 field trials are underway, members of the DSM-5 Task Force and Work Group will begin drafting their initial text for DSM-5. During this time, case studies will also be developed, which will be published after DSM-5’s release in a series of case books. March – April 2011: Revisions to Proposed Criteria. Based on results from the first phase of field trials, the DSM-5 Task Force and Work Group members will make revisions to the proposed DSM-5 diagnostic criteria and dimensional measures. These revised criteria and measures will be tested in a second phase of field trials. April – May 2011: Review of Revised Criteria. Revised proposed criteria will be subjected to internal review, including a review by the DSM-5 Task Force and Research Group and by other relevant work groups. May-July 2011: Online Posting of Revised Criteria. Following the internal review, revised draft diagnostic criteria will be posted online for approximately one month to allow the public to provide feedback. This site will be closed for feedback by midnight on June 30, 2011.